The New York Times referred to this mountain town as the Miami South Beach of the west. Scottsdale, a fast-growing and well-to-do town, was one of the first suburban outgrowths of Phoenix. Its setting in the desert by the McDowell Mountains is spectacular. So is the infrastructure that has been built up - everything from luxury hotels to green golf courses to world class art and shopping is readily available. The National Association of Realtors reports the median sale price to be $272,000 in the Phoenix/Mesa/Scottsdale area during the last quarter of 2018, but prices in Scottsdale proper will be higher than that. Scottsdale is an extremely affluent community with low crime rate and every kind of cultural and recreational attraction. Shopping and hotels are world-class. The Arizona Biltmore Hotel is a tourist attraction, and so is Taliesin West, Frank Lloyd Wright's former winter home, studio, and school. 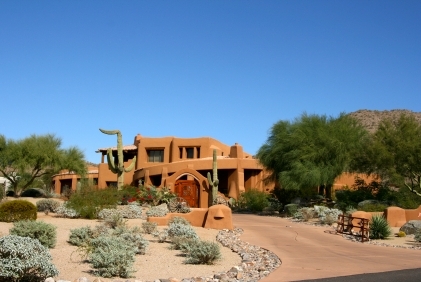 Scottsdale runs north south and is east of Phoenix, east of Paradise Valley and south of newer Carefree. 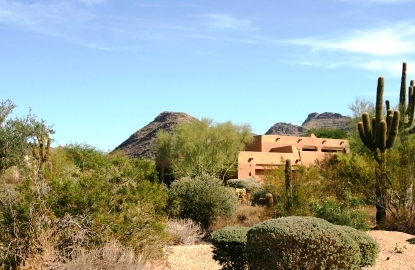 It is next to the McDowell Mountains and the desert scenery is wonderful. Scottsdale Community College and the Frank Lloyd Wright School of Architecture are just 2 of the institutions of higher learning in Scottsdale, let alone the Phoenix metro. Wright's Taliesin (home and studio) is one of the top cultural tourist attractions in the West. Scottsdale's performing arts district features the Scottsdale Center for the Arts, which hosts musicals and plays. There are more than 125 art galleries in Scottsdale. The Scottsdale Gallery Association sponsors a weekly Art Walk. Scottsdale celebrates its cowboy heritage with the Scottsdale Jaycees Parada del Sol. Crime in Scottsdale is consistently lower than the national average. There are at least 2 hospitals in Scottsdale (Scottsdale Healthcare has 2 locations) and dozens of others in the metropolitan area. Scottsdale's concentration of well-off retired people means that the area has been a magnet for doctors, every specialty is amply represented.